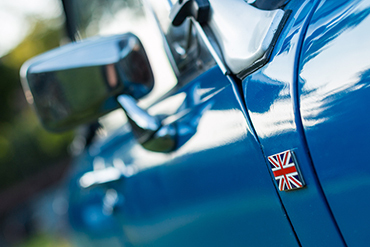 Buying British made cars could help bolster the UK car industry. Honda is closing its Swindon plant, which built 160,000 Honda Civics last year; Nissan has reversed its decision to build the new X-Trail SUV in Sunderland; and The Society of Motor Manufacturers and Traders (SMMT) warned in February that the car industry in the UK is on ‘red alert’, rocked by a five year low in production. With these setbacks in mind, InsuretheGap.com, a provider of Guaranteed Asset Protection (GAP) insurance, has produced a guide on which cars are manufactured in Britain for those who wish to support the British car industry (see table below). In 2018, over 1.51m cars were built in the UK (source SMMT) and while the vast majority of these are exported, buying British-made cars could help to bolster the industry in the coming months. There are over 30 active car manufacturers, employing 186,000 people, and building over 70 models in the UK. The largest manufacturer is Jaguar Landrover, which built almost 450,000 cars in the UK last year, including the Jaguar F-type and the Range Rover. A close second is Nissan, at its Sunderland plant, which made 442,254 cars, from the Juke to the Qashqai. Mini is the third largest car manufacturer in the UK, based at Cowley, Oxford, and manufacturing 234,183 cars last year, including the Mini Clubman and Mini Countryman, followed by Toyota’s plant in Burnaston, Derbyshire, making over 129,000 Auris and Avensis models. Other British-made cars include the Vauxhall Astra, made at Ellesmere Port, and the Honda Civic, made in Swindon (in 2022 this site is due to close). Nissan’s Qashqai was the fourth best-selling car in the UK last year, but the remaining top ten best-sellers were made abroad. The Ford Fiesta claimed the top spot (Ford stopped making cars here in 2002), followed by the Volkswagen Golf, which is manufactured at the Wolfsburg plant in Germany, and the third best-selling car was the Vauxhall Corsa, which is also made in Germany.